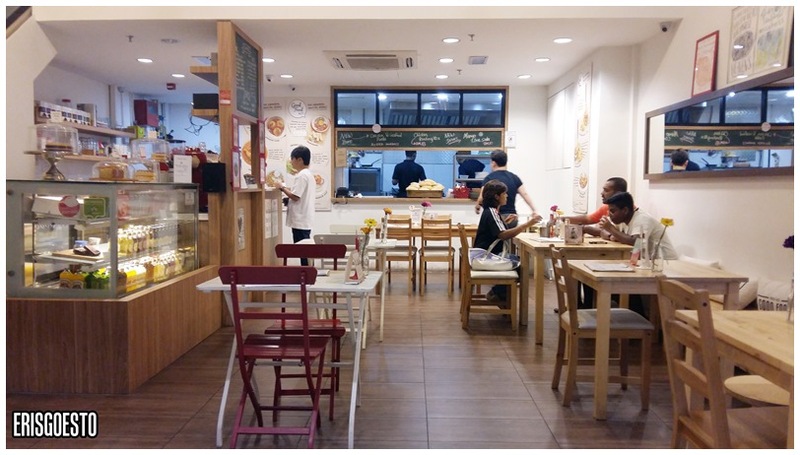 We went to this chic little cafe in Jaya Shopping Mall called Good Food and Co, located on the 5th floor. The place sports a cosy, warm looking interior with a mezzanine floor (which isn’t always open, according to Y). They also put some tables and chairs out on the corridor if you’d like to dine al fresco. There were fresh juices and cakes on display at the counter, and sat near the open kitchen was a pile of warm, freshly baked bread. 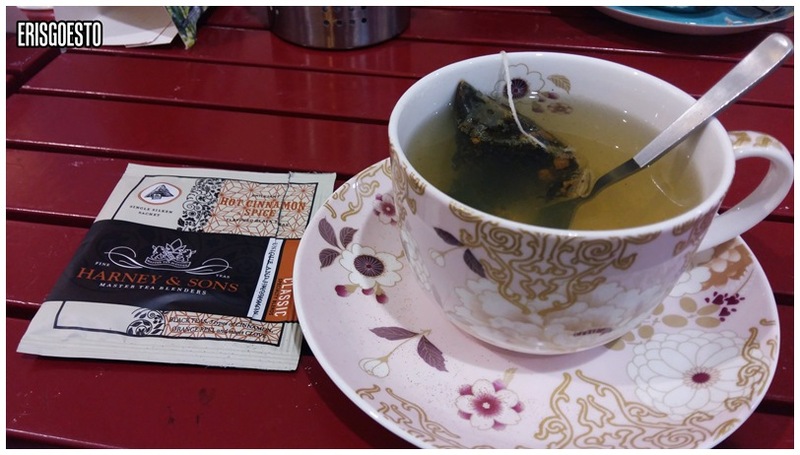 My order of Harney & Son’s Cinnamon Spice tea was served in a beautiful pink floral teacup. It was really good! Aromatic with a strong flavour of cinnamon and a hit of spice on the tongue every time I took a sip. It was slightly sweet so no need for extra sugar. They have a nice selection of teas and coffees, along with fresh juices and blended items. 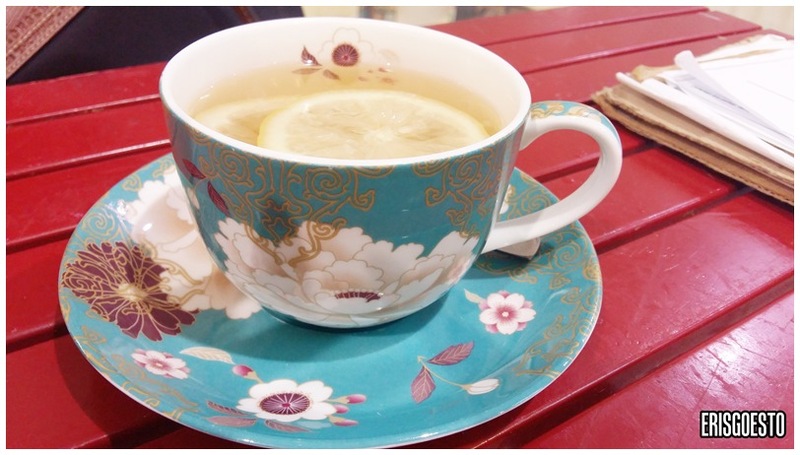 Kat’s order of hot lemon tea came in an equally pretty blue cup. 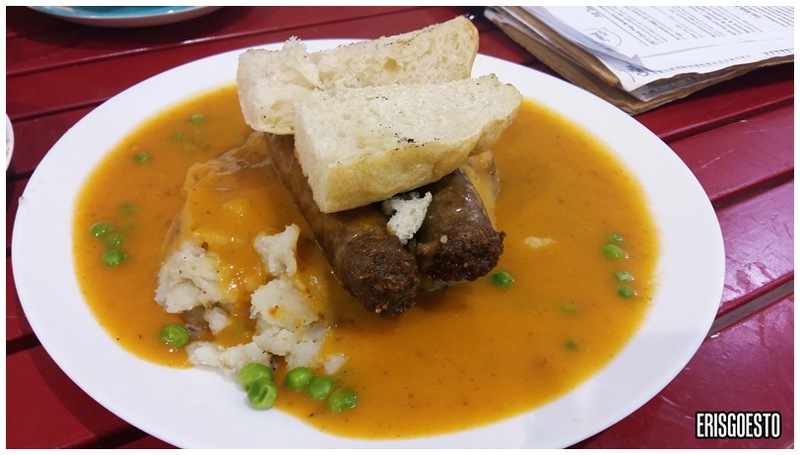 Y suggested the Lamb & Rosemary Sausages + Mash (RM19), so I went for that. 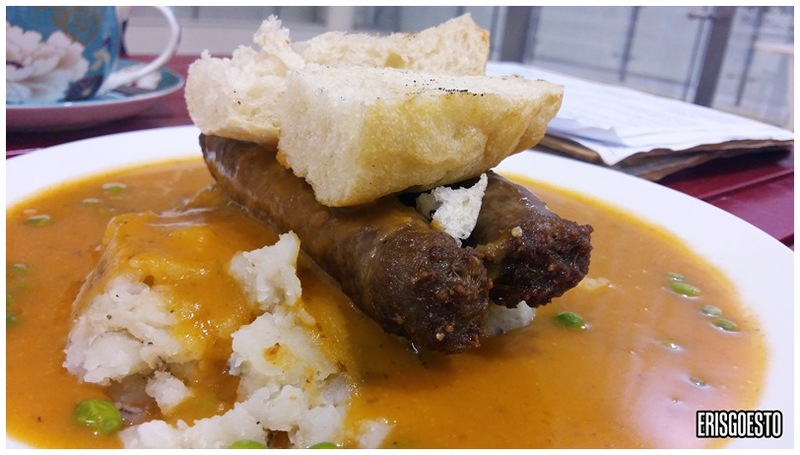 The plate was massive, which dwarfed the appearance of the sausages, but once you dig in you’ll realise that the meal is actually quite substantial. The gravy was nice and thick without being too starchy, but the flavour was overpowered by the saltiness of the meat, in my opinion. All in all it was okay but Y says they have served better versions before this lel. 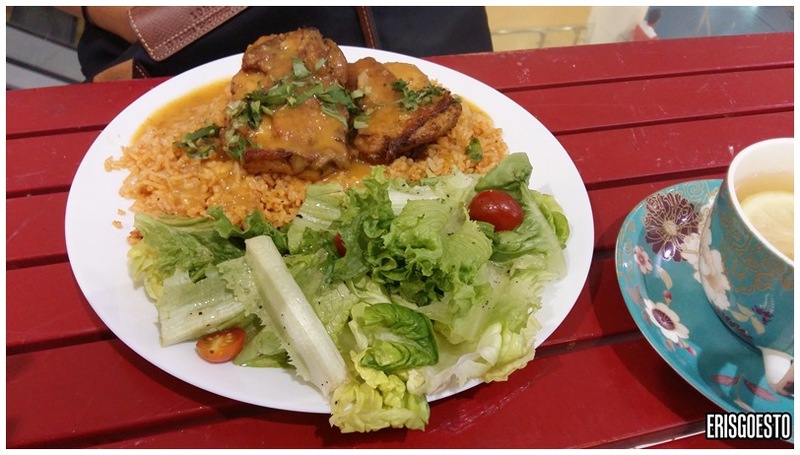 Kat’s colourful chicken pilaf rice (RM18) which came with a generous serving of fresh vegetables. The appearance wasn’t the most appetising but she said the flavours were good. 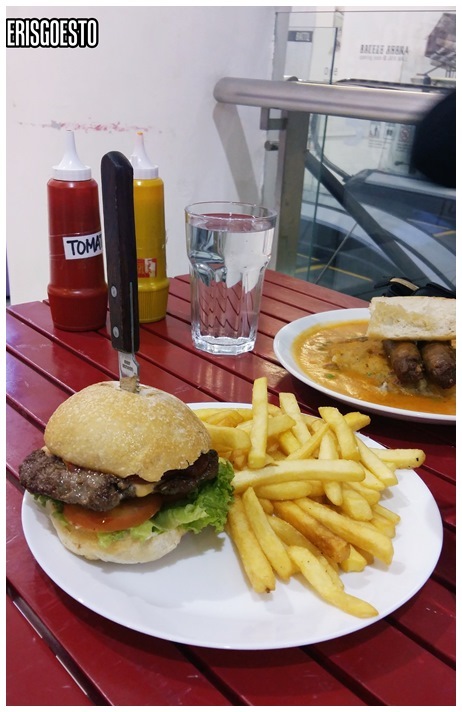 Noel’s Gourmet Lamb Burger (RM22) looked the best by far, with a side of golden fries and a huge knife sticking out of the burger which could also double as a murder weapon lol. 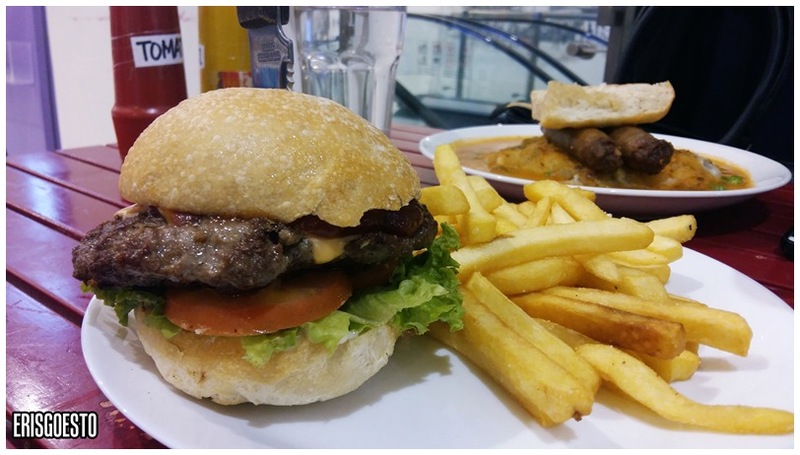 He apparently enjoyed the dish, which consisted of a grilled Australian lamb patty, aioli, lettuce and tomato sandwiched between soft burger buns. The food and environment at Good Food & Co is decent, and the prices were what I expected from such a location/ambience. Will I go back again? Maybe – they do have a lot of items on their menu that I haven’t tried!